I don’t recall how I came upon the book initially, but it had a profound impact on me. 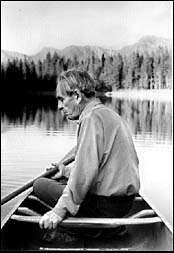 In 1976, Norman Maclean, a retired English professor, published what I consider, as if that really means anything at all, one of the best pieces of American literature ever written – A River Runs through It. A semi-autobiographical novel set in early 20th century Missoula, Montana, it’s a tragedy, a love story, an outdoorsman’s paradise and a fly fisherman’s Nirvana all rolled into 231 pages of inexplicably gratifying reading. Some writers have a natural gift with words – wordsmitties. They seem to effortlessly wield words that elicit feelings. They paint pictures indescribable and apply words to emotions seemingly inexplicable. 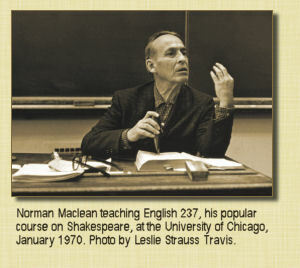 I could go on, inadequately describing Mr. Maclean, but I think it best to let his own words speak. In 1992, Robert Redford made the book into a beautiful film. A River Runs through It, is an American classic.